Hormones ladies. There are those times when you just don’t understand where your mood is coming from, and it changes without warning and this could well be (probably is) driven by your hormones. This is a common experience for many women. Fortunately, there are foods that can effectively improve your mood. By eating the right food, you can experience a great difference in your energy and mood. A diet packed with highly nutritious food can drastically reduce the symptoms of hormonal imbalance such as depression, mood swings, acne, and weight gain. Below is the list of hormone-balancing food for women. Are you familiar with the blue-green algae found in ponds and lakes? 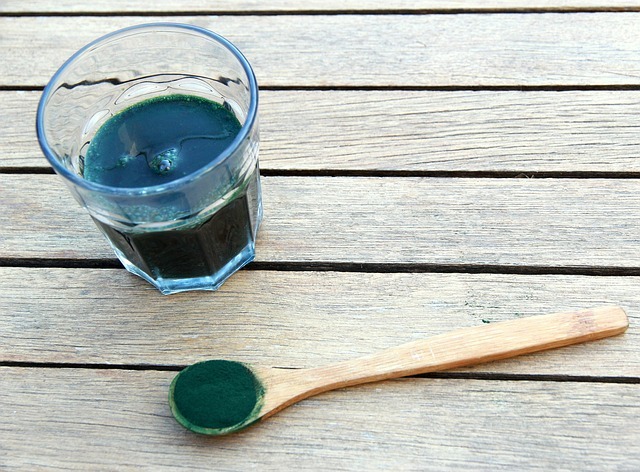 Well, it’s known as Spirulina and it contains high amounts of magnesium, calcium, and potassium. It’s rich in hormone-balancing nutrients, which can help reduce mood problems, cramps, inflammation, and breast tenderness. Therefore, it can reduce the risk of blood sugar problems by resolving the root cause of hormonal imbalance. Cod liver oil is a historically popular remedy for its nutritional content. Fortunately, the contemporary variety is much tastier than its predecessors. Cod liver oil is rich in essential concentrated hormone-balancing nutrients such as Vitamin A and Omega 3s that help address mood problems, inflammation, and fluid balance. Furthermore, regular consumption of fermented cod liver oil can also improve potency. Vitex is also called Chaste Tree Berry, which is a powerful medicinal herb. This is especially ideal for women’s health because it helps produce high progesterone levels. Vitex can help relieve hormonal symptoms such as depressed mood, irritability, headache, skin disorder, fatigue, bloating, breast fullness or sleeplessness. In traditional Chinese medicine, bee pollen is specifically used to increase energy, reduce cravings, improve digestion, and build iron. Bee pollen is considered a complete food and is a great source of proteins and other important nutrients such as folic acid and vitamin B. These nutrients are effective in balancing hormones, improving your mood, and stabilising weight. Avocados are great sources of the good fats that are essential for hormone synthesis. The nutrients from avocados help your skin release and circulate the hormones necessary to stay healthy. It is recommended to eat a half an avocado per day to get a beneficial amount of fiber, monounsaturated fatty acids, vitamins C and E, potassium and lutein. See other benefits of Avocado here. Salmon is good for your brain and heart health. It also balances your hormones because it contains omega-3 fatty acids, which serve as a major building block for hormone synthesis. Its anti-inflammatory properties can help fight skin irritations, including eczema and acne. To stay healthy as well as balance your hormones, you need to eat the right food. The foods on this list can produce amazing results. Put an end to your mood swings and other hormonal imbalance symptoms. Give these a try?